Late November and most of our "regular" humpbacks have left Monterey Bay to migrate south for the winter. The ones that are still here have plenty to eat and we ran into a feeding frenzy. 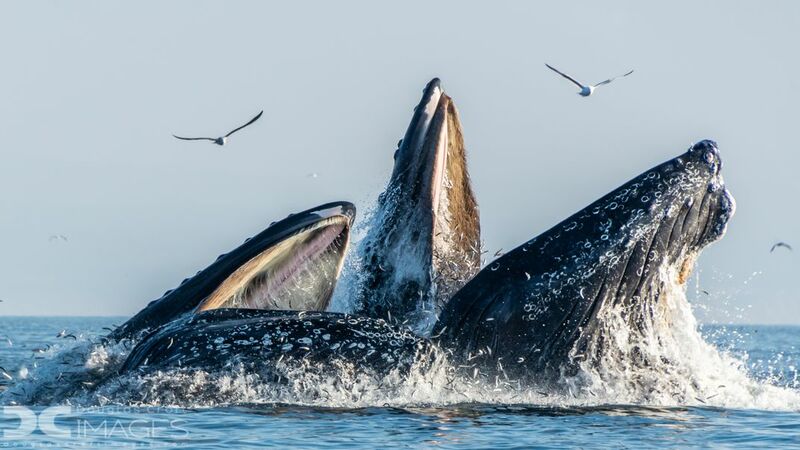 Humpback whales, California Sea Lions and sea birds were in a feeding frenzy around a huge school of anchovies.